Soon to open barbecue eatery Loyal Q and Brew has secured its second location. 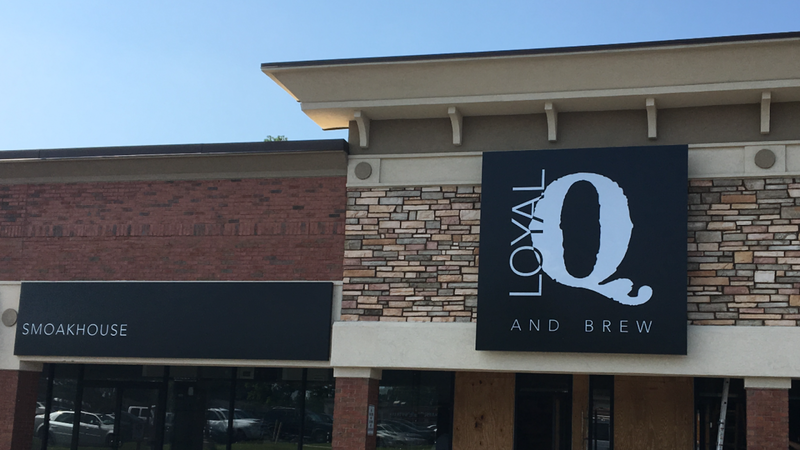 The first Loyal Q is expected to open the week of August 15th at Parkaire Landing shopping center in East Cobb. The second location will be on Old Milton Parkway in Alpharetta in the former Five Seasons Brewery space. Loyal Q is the "barbecue concept" I reported in June would replace the brewery and restaurant. 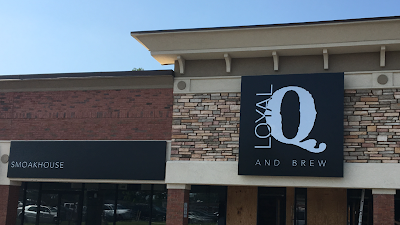 Loyal Q is being opened by a group of former employees and executives from Atlanta-based Tappan Street Restaurant Group, owners of the Taco Mac restaurant chain. Bob Campbell, who was CEO of Taco Mac for 25 years before leaving during the fall of 2014, along with Susie Oddo, former COO of Taco Mac partnered to create Loyal Q. The duo recruited Dan Diersen from Chicago's Green Street Smoked Meats to serve as the restaurant's pitmaster and executive chef. The restaurant will feature all wood smokers from J&R Manufacturing of Mesquite, Texas. According to Campbell, "basically anything that can be smoked, we'll smoke it." This will include beef, pork and chicken as well as trout and salmon, among other offerings. Drawing on their decades of experience at Taco Mac, Campbell and Oddo will bring a casual, family friendly atmosphere to Loyal Q. The restaurant will feature table service and be open for lunch and dinner seven days a week. Loyal Q will be resemble a sports bar in some respects, with 32 TVs, NFL Sunday Ticket, and features such as 32 beers on draft and about 80 in cans/bottles. 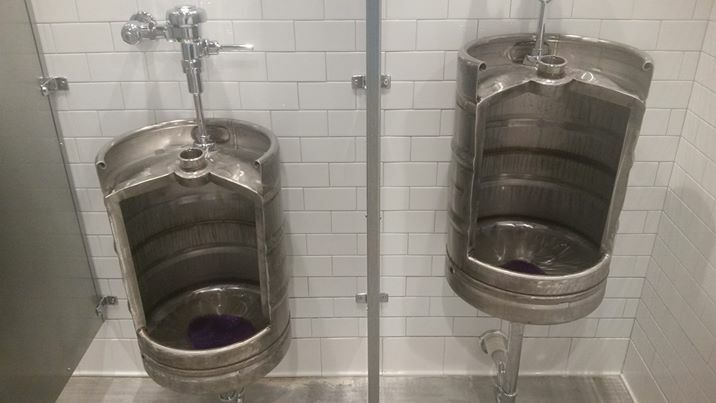 While I'm not much of a beer drinker myself, I did find the "keginals," beer keg urinals, especially novel and well suited for the new establishment. 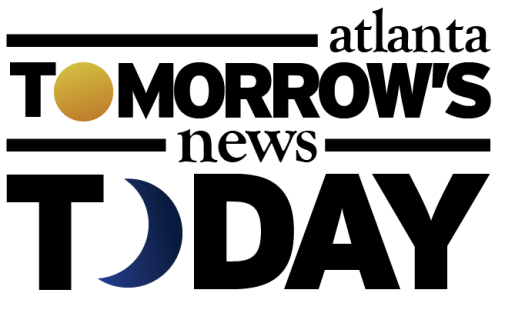 The Alpharetta location will be about 9,000 square feet, significantly larger than the approximately 6,400 square foot location in East Cobb. Campbell tells me that while they were under construction of the East Cobb location, the owners of 5 Seasons [Dave Larkworthy and Crawford Moran] made their restaurant available, and while it had not been their immediate plan to open a second location, they felt the location was too good to pass up. According to Campbell, renovations of the Alpharetta location began this week, with the group hoping to be open before the end of the year. Does the Loyal Q and Brew concept appeal to you? Are you pleased to see a new barbecue option in Alpharetta and East Cobb? Where is your favorite place for barbecue in Atlanta? The East Cobb spot strikes me as a strange spot for a new BBQ joint. Sam's No1 BBQ is a fly-ball away and has a good following and there's a great deal of overlap with the Ted's Montana Grill RIGHt NExT door. Then a few minutes up JF you have the considerable skill of GC BBQ. The cue will have to be on-point, which describes absolutely nothing on the Taco Mac menu, which is just Applebee's with more screens and more taps. And sometimes that is just fine.  But it should be VERY interesting to see if this concept can work in this space. They lost me at "sports bar" and 32 televisions. I don't go out to eat to watch TV. I agree with both comments. East Cobb is in desperate need of good restaurants. There is a major void here and is prime for picking. They put a lot of money into this location. Ex Taco Mac people does nothing for me. Can we get some hipsters up in this burn to change the food seen. Too many chains and mediocre food up here with all the old people. Their website also mentions a large bourbon selection. "50+" Most of the other barbecue places in the EC don't even have beer. I disagree with some previous comments. While Sam's is close it has zero ambiance. The only other sports bar in the area is Suburban Tap which incidentally use to be a taco mac - but now it's old and in desperate need of updating/cleaning/renovations. Grand Champions BBQ is not close at all. My only recommendation to Loyal Q is be creative with the menu. A good menu and bar (with top end service) in East Cobb will quickly develop a loyal following. Look forward to having a fun new place to go nearby!! We are completely stoked to have Loyal Q in the neighborhood. Sams has become very complacent and GC is too far away but is way better than Sams. Glad to have a place nearby that doesn't roll up the sidewalk at 8pm. I am not a sports fan but do love getting together with friends for any reason and this looks like a great spot to do so. Best of luck and mucho success to Loyal Q! I'm a longtime Sams BBQ1 customer and fan but there is no question that they are slipping, and have been for some time. There is now a sign up at Sams that says they cannot guarantee that your order will be accurate. (?!?!!) I have high hopes for LoyalQ - 32 craft beers and 50+ bourbons is pretty strong. "Cannot guarantee the order will be accurate" is a polite way of saying, "we've got your money, we just don't really care, take what we give you"
Loyal Q is now Loyal Tavern. More beer and same food. Visited the location twice and would not go back. I will drive around the corner for BBQ1. Why do to prices and service.